When I was hired to work on staff in the Comic Art bullpen at King Features back in 1989 my immediate boss was Production Supervisor Frank Chillino (1920-2007). 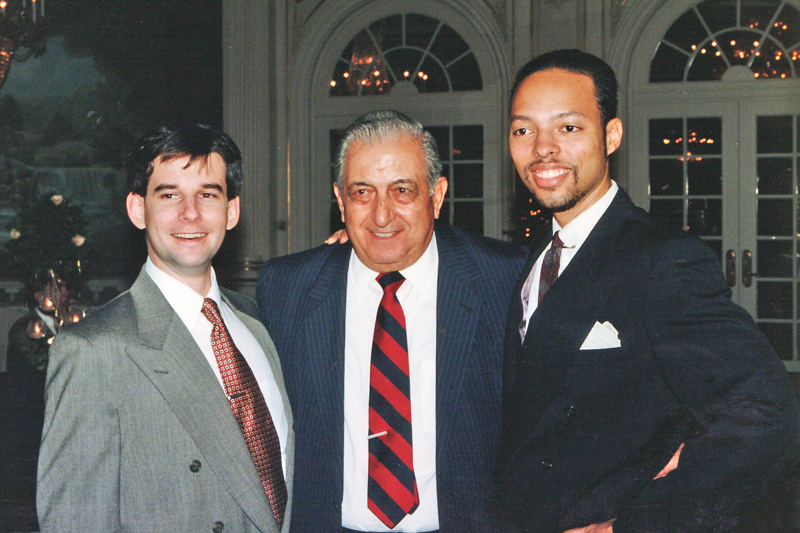 Left to right – Jim Keefe, Frank Chillino and Jerry Craft. Sylvan Byck (1904-1982): Head of the Comic Art department from the 1950s until 1978. 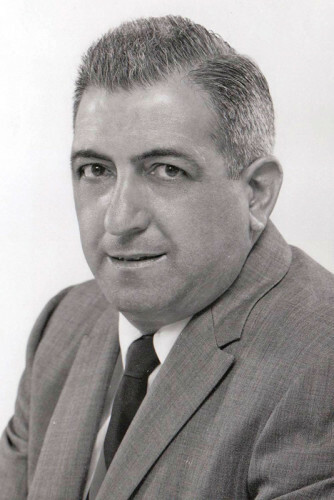 Bill Yates (1921-2001): Head of the Comic Art department from 1978 until 1988. 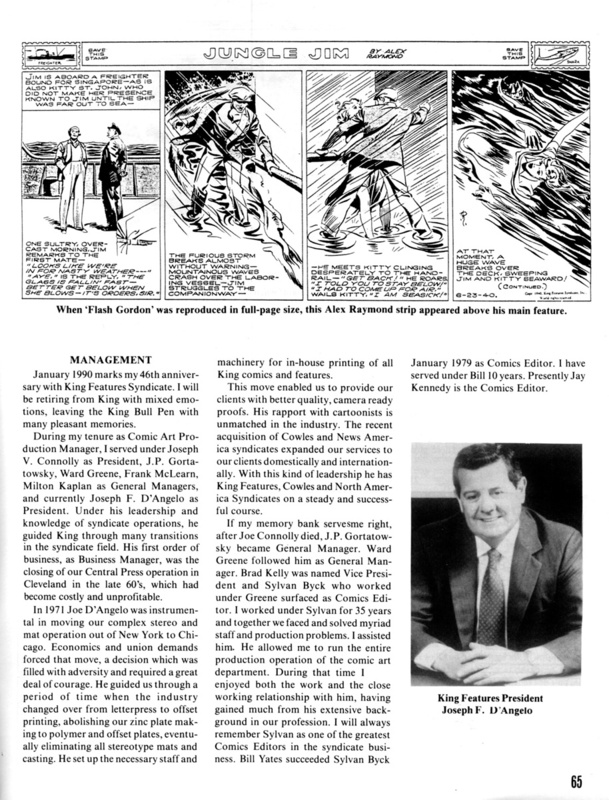 Jay Kennedy (1956-2007): Head of the Comic Art department from 1988 until 2007. Frank Chillino was the guy at King Features who made sure the trains ran on time. 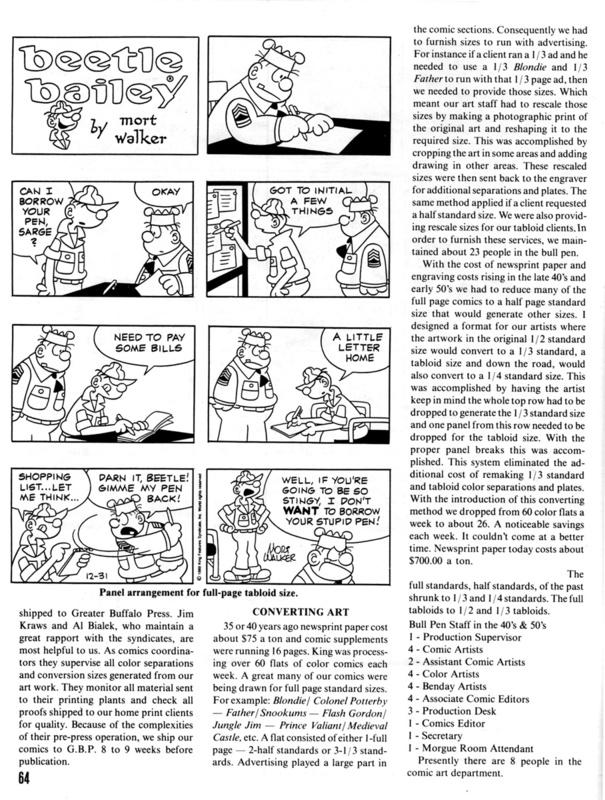 He also devised and implemented the standardized system to format strips for newspapers that’s still used today – a template where a strip drawn in a half page format could be reformatted to a third or quarter page quickly and efficiently. It helped streamline the process saving countless hours of production time (and money) for King. 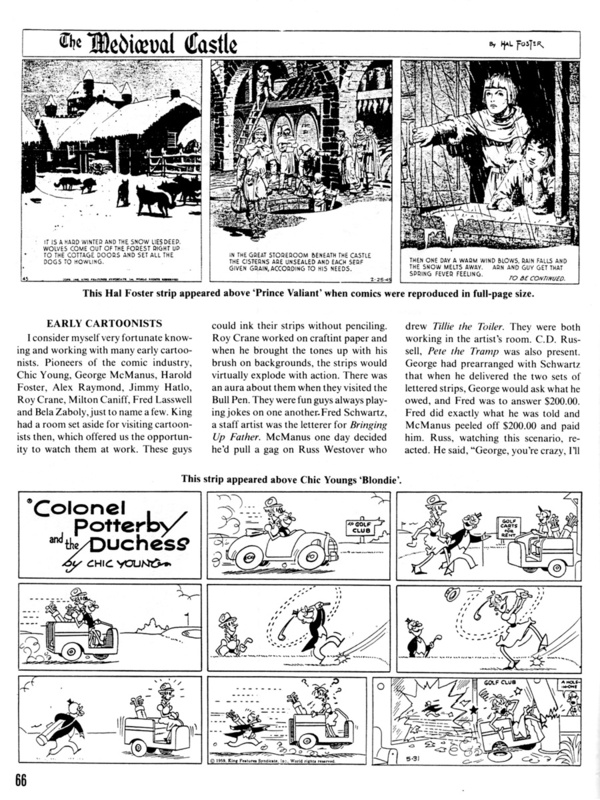 He was there with the pioneers of the industry – Chic Young, George McManus, Harold Foster, Alex Raymond, Jimmy Hatlo, Roy Crane, Milton Caniff, Fred Lasswell and Bela Zaboly just to name a few. When he retired in 1990 he had 45 years at the Syndicate under his belt. 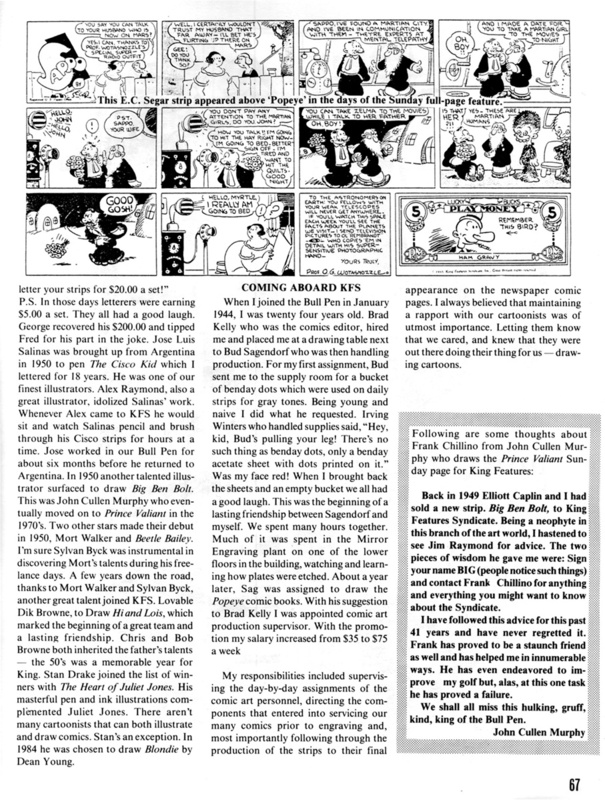 The following piece ran in Cartoonist Profiles #88, December 1990 (cited above) and pretty much encapsulates the history of the syndicated newspaper strip. 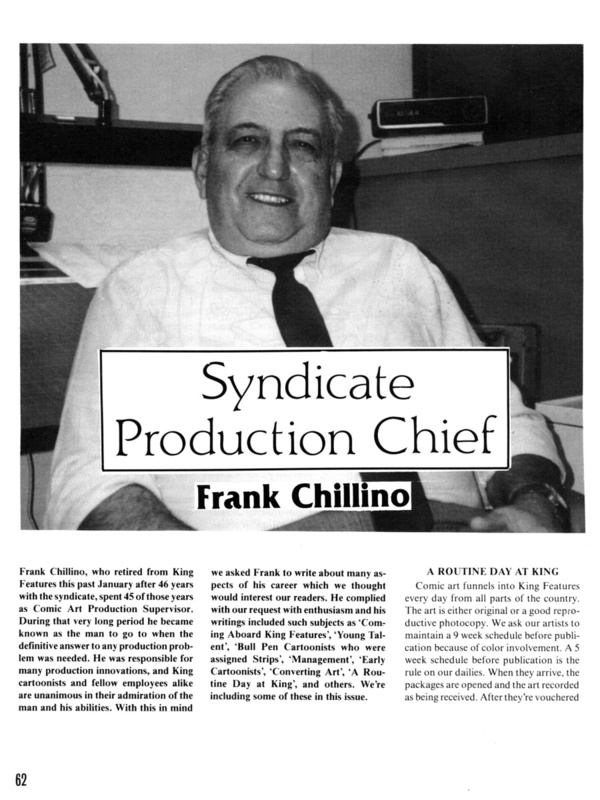 Frank Chillino – Truly one of King Features’ greats! 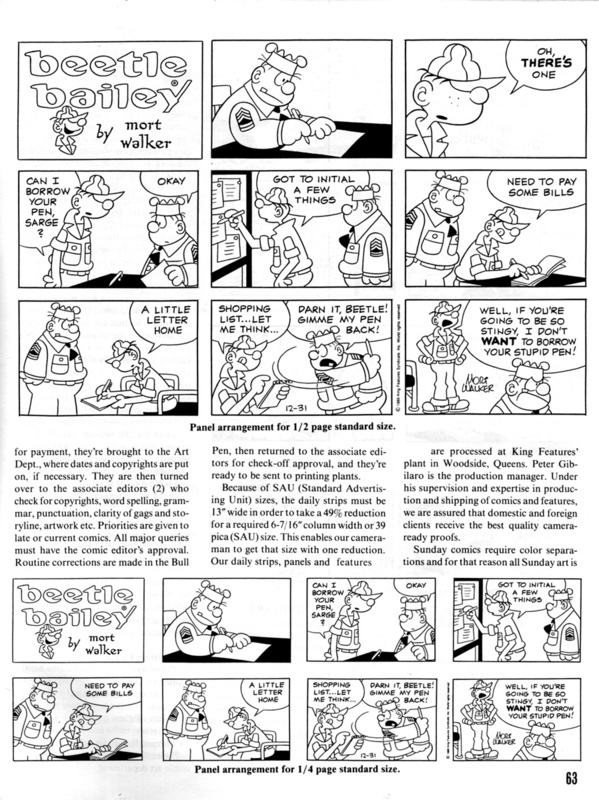 This entry was posted in King Features and tagged Frank Chillino. Bookmark the permalink.